It looks like there will be some great heads up action for railbirds to enjoy at next month's EPT London after Daniel Negreanu threw down a challenge to Gus Hansen and his fellow Full Tilt ambassadors Tom Dwan and Viktor 'Isildur1' Blom. Kid Poker then used his latest weekly rant to lay down a challenge to Hansen and his fellow Full Tilt pros, offering to take them on in a battleship style heads up contest at EPT London. Hansen has confirmed he'll be taking part, telling Negreanu “If you and your money will be there, I can't say no! :)”. Durrrr and Blom are yet to say yes but Hansen tweeted that he has a 'funny feeling they will make time for this'. Exact rules of the contest haven't yet been decided but Daniel will choose a number of PokerStars pros to join him against Full Tilt Poker's finest. 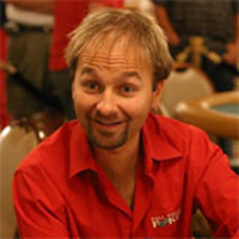 Hear more about the contest and Negreanu's recent charity efforts in his latest rant.